The ANA Road Show brings rare numismatic treasures to your convention! Coin clubs can apply to have incredible specimens from the ANA’s collection exhibited at their shows. In addition, we’ll bring the ANA Library Mobile Archives, conduct numismatic courses, and more. To learn more about the ANA Road Show application process and associated costs, please contact Club Communication Coordinator Tiffanie Bueschel via phone at (719) 482-9816 or by email at tbueschel@money.org. 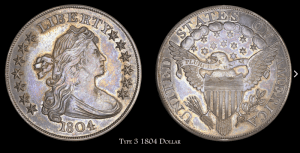 "On public display at the event... was an American Numismatic Association Roadshow Exhibition, which featured the dazzling and rare King and Queen coins of numismatics, an 1804 Bust silver dollar and a 1913 Liberty Head nickel."